Back in January, Teena had to have some dental surgery up on College Street. They would not release her unless she had somebody with her so after work I walked up to get her. On the way I went through Grange Park and saw this old church bell tower standing alone. I didn't have time to investigate but thought it would be great to wander back one day. I had then forgotten about it until we did the Haunted Streets of Toronto Tour, where we were taken to the old bell tower and told of its historical significance. No, there are no ghosts haunting the area there. Teena and I went on a walk a week later and made another visit to this site where I took theses two shots. The St. George the Martyr Anglican Church was built back in 1844, which at the time was far north of Toronto which ended at Queen Street. The Boulton family lived in Grange Park at the time and it took them an hour to travel to church on Sundays so they had this church built at the end of their lane way for their convenience. 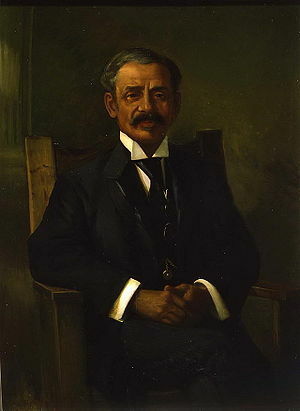 Toronto's first black city alderman, William Peyton Hubbard, who was an alderman from 1894 to 1914. was a member of the congregation here. Interesting to note that he was originally elected and re-elected in what at the time was considered to be the wealthiest and whitest ward in the city (encompassing an area between University Avenue and Bathurst Street). The church caught fire and burned down in 1955, except for the bell tower and a few partially standing walls, refectory and Parrish Hall. Worship now has been moved to the Parish Hall. The area were the church used to stand is now gardens and open to the public for a quiet place to escape. My only criticism is that there should be a plaque somewhere on the grounds to explain the historical significance of this structure. Teena and I looked around and could not find one.